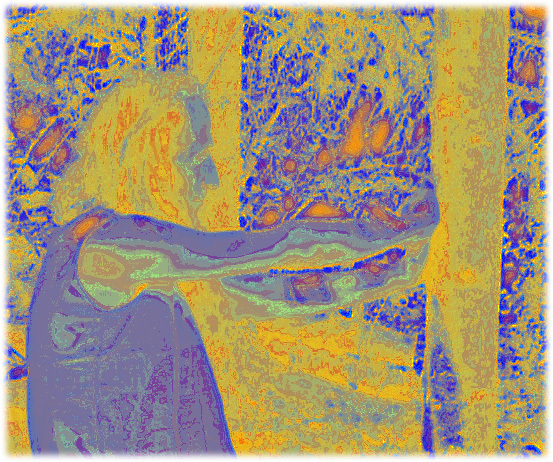 A Vision Quest is a courageous and solitary time of meditation, shamanic journeying and prayer aimed at receiving a vision, releasing major grievances or connecting with the Guide. It is a very intense process that can remove blocks to true perception and uncover the authentic reality that I have been trying to hide through large portions of my life. Traditionally, vision quests are carried out in wild or remote areas (forests, mountains, deserts, etc.) and in practical terms involve sleeping out, fasting or staying alone for two or more days. In the Christian tradition this model was amplified by the anchorites, or hermits, who in the third century started to pursue their solitary quest in the desert of Egypt. Also known as the Desert Fathers and Mothers, they were the first monks and nuns of Christianity. “On the mythical plane, a vision quest is a heroic journey, a symbolic ordeal of seemingly insurmountable trials that occurs in a sacramental region of natural power so that we can know that we are more than our limited beliefs have here-to-for led us to believe... On the physical plane, the vision quest is an exercise in survival, ... [where] the individual lives in a sensitized state of bodily awareness and feels the connection he/she shares with the elements and living things of the natural world. Bodily states of emptiness and weakness... give rise to emotions and fears... [and] the body responds to the challenge and furnishes the individual with unexpected source of strength and vitality. On the transpersonal level, we vision quest to seek Self-knowledge. This knowledge is enriched by the wisdom of the collective unconscious and is the basis for the recognition of our physical/spiritual place on Grandmother Earth. Perception of our true place in nature, however is not possible without taking the first, hesitant, steps across the margin of our experience. The vision quest provides an ancient, time-tested way of taking those first steps”. In order to face a vision quest, the Intention is essential. I need to be clear about what I am looking for; if this is not the case, it will be hard for me to recognise it when I meet it. The Intent does not have to be understandable for other people: what matters is that it is comprehensible for me and my inner world. This is a major consideration before undertaking a vision quest. In this context, it is preferable to work alone or in conditions devoid of any human ordinary conditioning. If your motivation is weak, or if you tend to be dissuaded by external situations or act to please others, perhaps you are not ready for this kind of work. To emphasise the willingness of total surrender, some traditions invite the participants to stay totally naked, at times staying outside for days without any repair or food apart from what is spontaneously provided by nature. In the contemporary world, it is difficult to find places where this is possible and tolerated. Certain aspects of modern life (roads, electricity, cars, homes, etc.) are now part of our everyday environment (as the so called natural environment constituted the habitat of ancient people), and it does not necessarily make much sense to cut them off as being unsuitable or unnatural. The important point here is, again, the Intent. Ritual and choreographic aspects are useful only as long as they do not turn into magic. Here, magic is the ego’s surrogate of spirituality, that is, any special power that we ascribe to something outside us (certain people, natural conditions, remedies, rituals, etc.). These things have no real power, apart from whatever we choose to endow them with. Hence a vision quest can take place in any environment, as long as there is a clear Intention, and certain essential elements are present. What helps in this respect is to abstain from ordinary activities and adopting some kind of extremely unconventional practice, which allows the questers to be constantly aware of what they are doing. “The first two days are dreadful. I have committed not to move further than the limited space of the Sacred Circle. There is no chance of taking a break and distracting myself with an excursion or walk in nature, nobody to speak to. No journal, book, television, magazine, food, computer or contraption with which I can trifle away something. Only my body is here, together with an environment that becomes more and more hostile. This is no wonder however. It was part of the challenge I had decided to face. What I could not predict however was the fact of losing my connection with the Guide. This is what happens. No visions, nor unseen beings. No trace of Animal Guides either. Only repulsive and fastidious insects making it hopeless for me even to meditate or reflect upon what is going on. Not to mention snakes. I do not see any, yet I know there are plenty of them here. They hide well and bite suddenly without any kind of warning. I begin to fear that I won’t make it. And when the night comes, fear turns into panic and terror. Every small noise heralds an omen of torture or death. I came here to receive spiritual vision. Well, now all I am concerned about is whether I will manage to physically survive until the next day! This depresses me even more. Such a desperate situation persists also on the following day with atrocious peaks of boredom and states of dreadful despair. My high ideals and visions have totally dissolved. There is no way to evade the hideous sense of failure and misery that I perceive. All possibilities of escape crumble the instant in which they are thought of. Among inner and outer vomits, curses, cries, and multilevel delirious states, it goes on until I meet the Threshold”. This is the name given to the second stage of the vision quest, which is the time of the real initiation. After releasing his toxins and meeting his most dreadful demons, the quester has reached a level of total exhaustion. His ego is worn out. It is a moment of no-return in which the sole option is to succumb and surrender. At this stage, if he manages to let go and persevere in the work, the vision is ready for him. Although the intensity and the content of experiences vary enormously, after an initial stage of catharsis, the participants open up to a non-ordinary event through which a revelation or vision is stimulated. As the quester is now exposed and vulnerable, this experience can leave a deep mark of healing in his system. In that moment, the basic layers of the ego crumble. Here, it is easy to have a meeting with the Spirit Guide and receive guidance. In the third stage (Transformation or Incorporation), once the vision has been received, it is acknowledged and integrated into ordinary reality. It can be an arduous phase as it confronts me with the choice of accepting the vision or not. The emergence from this stage is a new birth. Here, I am not born as a helpless and needy piece of flesh. I am born into my true identity and as part of a greater Self that guides and supports me. In the last stage (Reunion), the questers leave their place of isolation and come together for a purification ceremony and sharing. They get ready and support each other for entering the everyday world and integrating there what they have learned during the quest. Steven Foster & Meredith Little, The Sacred Mountain. 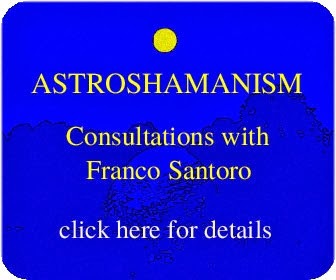 Click here for our complete calendar of astroshamanic events and quests.